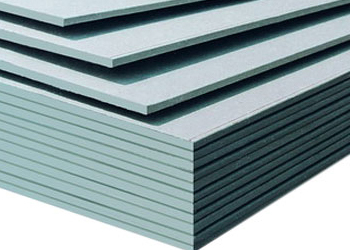 Due to its extra high mass, Acoustic Plasterboard is a far better acoustic panel as part of any acoustic control for walls and ceilings and should always be used when soundproofing these structures. Better sound blocking than normal plasterboard. Effective on stud walls and ceilings. BS EN520, Type A, D compliant. THIS PRODUCT SHOULD BE USED AS PART OF ANY SOUND PROOFING SOLUTION WHEN EITHER UPGRADING OR BUILDING NEW STUD WALLS AND BENEATH TIMBER JOISTED OR STUD CEILINGS. FOR BEST RESULTS, A DOUBLE THICKNESS SHOULD BE USED AND DECOUPLED FROM THE FRAME/JOISTS WITH FLEXIBLE RESILIENT BARS OR GENIECLIP SYSTEM. A MINIMUM OF 5 BOARDS OR MORE CAN ONLY BE DELIVERED. Because it is well known that high mass is the best defence to reduce airborne noise nuisance higher density Acoustic Plasterboard was developed as a cheap and easy way to improve the soundproofing of walls and ceilings when used along with other noise control products to obtain maximum efficiency. Acoustic Plasterboard is an essential component when soundproofing walls and can be used as a double thickness on top of our 20mm M20AD when upgrading the soundproofing of a masonry or party wall or for cladding as a double thickness on studs and stud partitions. The plasterboard should also be used when soundproofing a ceiling and can be fixed to the underside of timber joists or in the case of concrete ceilings onto battens previously fixed to the underside of the ceiling. For enhanced soundproofing results, the acoustic plasterboard should be decoupled from the structure with either Resilient Bars or our more efficient GenieClip system. PLEASE CHECK WITH OUR SALES TEAM TO MAKE SURE THIS PRODUCT CAN BE DELIVERED IN YOUR AREA BEFORE ORDERING.